Favourite Non Scale Sport Bipe? Haven't had enough to pick a favourite, sadly. I should do, I like bipes. 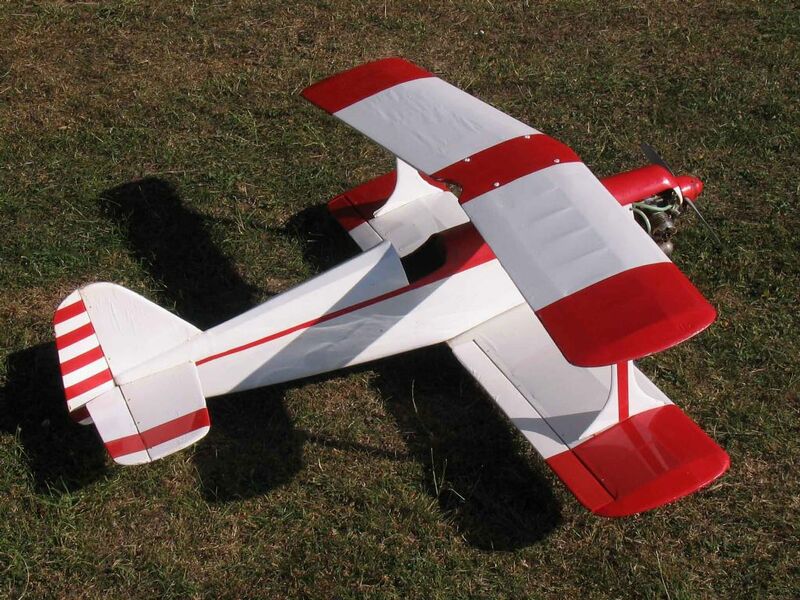 This is my Renegade bipe plan No 1512 from RCME should be available from Sarik. However I recommend instead the Acrobits No159. Reason is I flew my Renegade and on the same day a friend let me have a go with his Acrobits - I felt Acrobits was just that little bit better. But the Renegade was a trusty plane for many years. When brand new I exhibited it at Alexandra Palace Model Engineer Show ( the proper RCME / Nexus show ) didnt win any medals of course but it was nice to see see the crowds looking at my model. 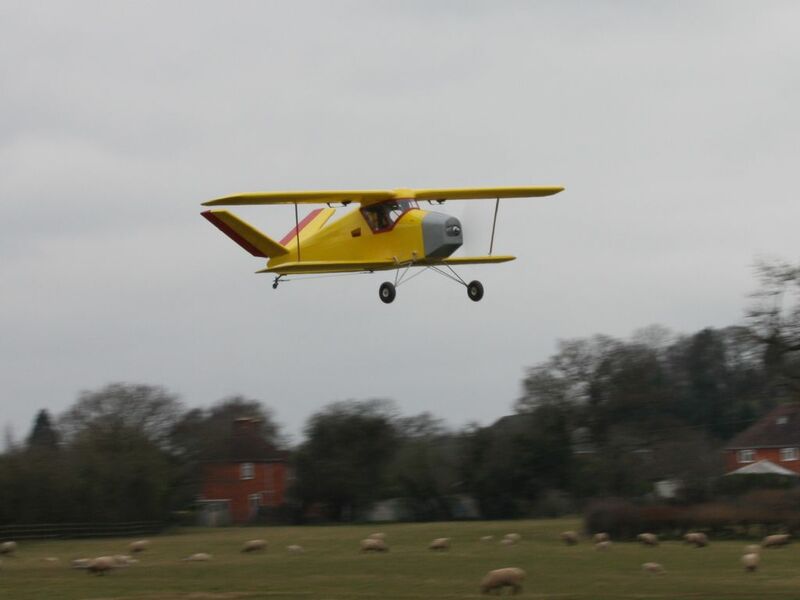 Both the Renegade and the Acrobits I flew went well on an ordinary 40 two stroke, mine had an Enya 40SS plain bearing. Ohhh, that looks nice, been on the Sarik website, plan number is now RC1510 any more pictures of it? I know I have shown it before, but the Pat French Team Special is still mine. At the time the DB Bi-Stormer was very popular, a great model, but I felt that this flew better. The Wots Wot is a relatively modern model though cymaz, popular though it is. Go back a bit further and there was plenty of fun to be had with the Avicraft Panic - which first appeared at least 40 odd years ago - and the Flair Pulsar, which was ( from memory) an 80's creation. Both exceptionally good sport bipes with a healthy following at the time. And of course there is the Jabberwock. Available in several sizes and very popular as a floatplane due to it's ruggedness and scale like appearance. Don Stothers and friends flew a brace of them during a break in proceedings when the 1978 World Championships was underway. He must have sold a few plans on the strength of that excellent display. As mentioned earlier the Acrobits. Again a good solid sports bipe capable of lively aerobatics. 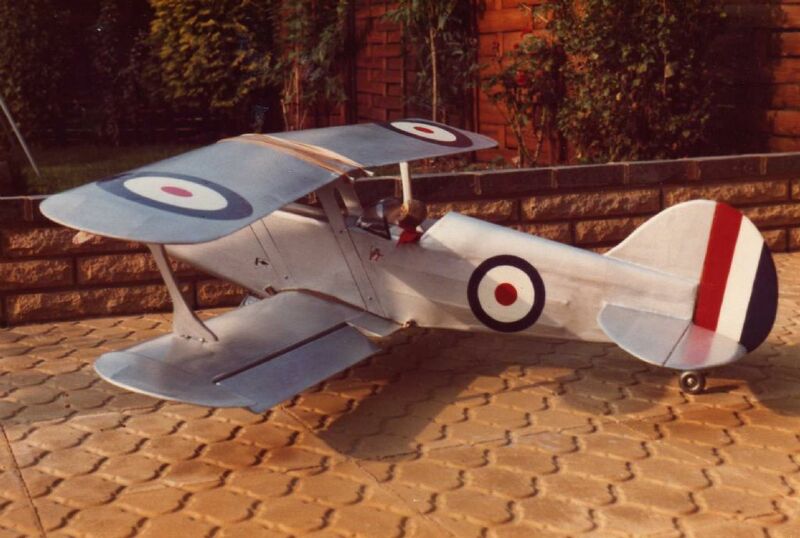 I remember Jim Worden ( the designer) flying the prototype at Witton Park back in the 70's. It later appeared as a Radio Modeller plan. Percy, I think my DB Gypsy (Cirrus) Moth is at least sport scale so not really eligible as non-scale bipe. It does fly really well though as I think we'll agree. Absolutely Geoff, a very nice flyer indeed. It's got to be, it's a Boddo job! My favourite is The AEROMASTER, Originally a kit by AAMCO in the '60s. 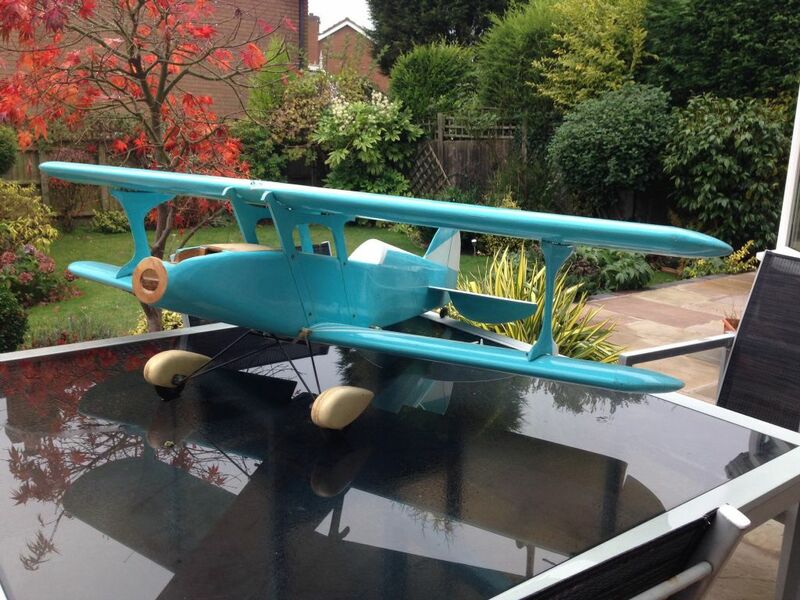 I have built five or six of them, have one at the moment plus a Great Planes "Super Aeromaster" - kit just in case. I also have a Giant Aeromaster which I bought second hand and have yet to fly. I need to find a suitable 40 - 50cc engine first. Martin you are correct it's RC1510. Just this one more photo which is the one on the Sarik website. The advantage of this biplane is that it uses wood for the cabane struts rather than wire - nicer if you are a woodworker. Torn between my Hyper-Bipe and my Gemini. My favorite is scale a Goldberg Ultimate with a 20cc petrol in fact it's my favorite plane of all time, my second favorite was a Goldberg Ultimate with a SC108 sadly no longer with us. I'd go with Flair legionnaire or Precedent Bi Fly, would rather have a Pitts though. 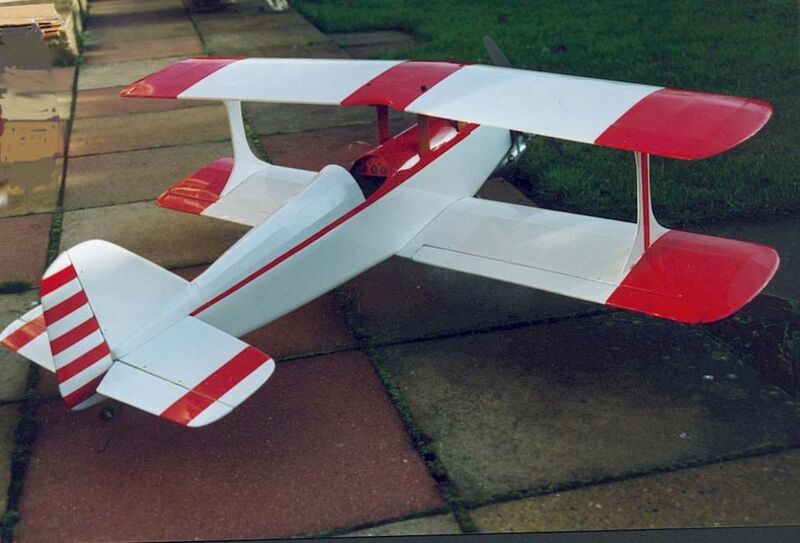 All Forum Topics > Sport, Aerobatic and 3D kits > Favourite Non Scale Sport Bipe?